This summer, 2014, the Scottish Open comes to Balgownie Links, Royal Aberdeen’s home. It will be good for the players, it’s a magnificent course and setting and possibly better preparation for the Open Championship than some of the previous venues for the tournament. The revenue will be great for the club and the city (I have an apartment available for rent, Mr Mickelson). The accessibility will benefit spectators. Sadly, it will probably bring out interminable articles from golf course architecture geeks about the magnificent work of Archie Simpson, the course designer, trademark bunker placements and signature this and that. Well, guess what, despite what the guidebooks say and the golf architecture websites, he had nothing to do with the original layout: he has been confused with Andrew Simpson. And Murcar? Not much. Nairn? No, Andrew again. And more credit for Cruden Bay? 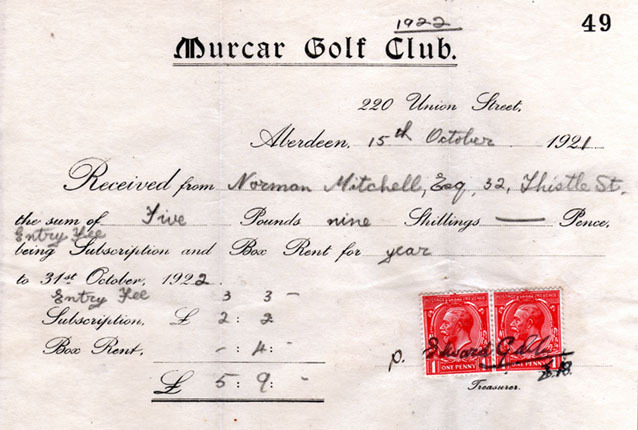 Yes, as the club has moved more to identifying Tom Morris alone for the design in recent years in its advertising material, it is clear much of the work was done by Simpson. The first thing to clear up, based on the errors of some of the published articles, is that the creation of Balgownie Links as a course was not an extension of anything: it was an entirely new project. Aberdeen Council in an unbroken five centuries old tradition of getting things wrong had golf as an ‘unlawful amusement’ in 1565. There is also a local document describing a hole on the then golf course in 1625. This course was on the now re-developed Queen’s Links by the Broad Hill. The King’s Links, which still exists, was to the north of the hill, and was first played over in 1872. 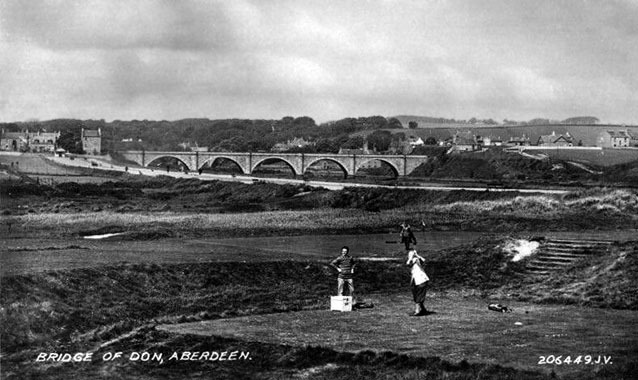 This combined area was the Town Links and the original home of Aberdeen golfers. This course had what we would now call a professional (then ‘attendant at the links’) who, from 1879, was Andrew Simpson with no connection to Archie. It was natural then, when the grumbling, at which we Aberdonians excel, caused the committee to look at an alternative venue to the crowded Town Links, Andrew Simpson (and Robbie Mearns, another early local professional player) should inspect the ground at Balgownie. The committee did instruct Robert Simpson, Archie’s brother, to produce a layout plan for the new course. Some have taken this to mean Archie “must” have been involved. Firstly, he was a playing professional (unlike his brother) making his living from high-stakes matches and, secondly, it totally ignores the way courses were designed at that time. ‘The line of the holes suggested by Robert Simpson’, as the club’s archivist puts it in The Royal Aberdeen Golfers: 225 years on the Links was actually mapped out by an assistant civil engineer from Walker and Beattie in Aberdeen. Having neither the map, nor a detailed plan of how the course first appeared, one can only speculate on whether the two bear any relation to one another. However, the suggestion, again from Ian Edward’s history that the links opened ‘prematurely but from necessity’, that necessity being the continuing deterioration of the Town Links, might suggest it was not the overriding design guide. Robert Simpson was hugely respected, probably more for his clubmaking business; Archie had been runner-up once already in the Open; Jack, nominally another partner in the business, had won the Open in 1884. If these people had been pivotal in the design of a golf course it would undoubtedly be worth mentioning. There is no mention anywhere before or during Archie’s time in Aberdeen (1894-1911) of involvement in the design. The first mention in the press of Robert Simpson’s having anything to do with it is fully twenty-five years later in the Dundee Evening Telegraph of 18 November 1913. He gets the date of the opening wrong in his report, it was not 31 March 1888 but, in fact, coincided with the start of the Spring Meeting on 18 April and playing for the Johnstone Cup and the Silver Cross, another reason for the hurry) but the personnel he cites involved in the design and laying out of the course are confirmed by a report on the work in the Aberdeen Journal of 20 February 1888 from which one learns Mr Leslie was no golf course architect but a shipowner. Like all courses it evolved and by the next year the members were looking to extend it. This is included in a fairly comprehensive summary of events in the Aberdeen Journal of 24 April 1896. 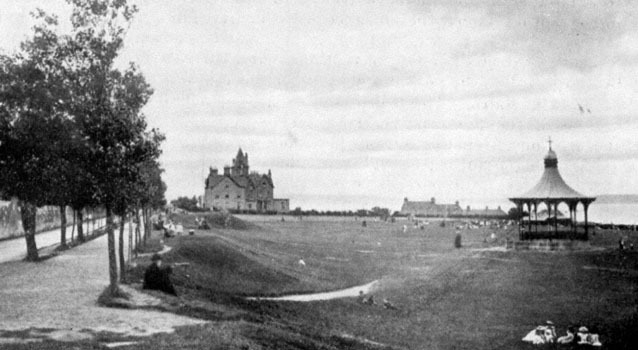 It raises some questions as to whether the club has a continuous line back to 1780, but this is Rangers/Sevco territory and I am not going there, but there is no mention of any Carnoustie Simpson work on the course and advice on the extension in 1889, and the placement of bunkers, came instead from Tom Morris. Archie Simpson came to Balgownie as professional in 1894. He played lots of challenge matches over a course which, if he had a hand in the design, would surely have merited a mention of local knowledge in the Aberdeen press. Nothing. They wanted Braid (who made changes many years later), Taylor, Vardon or Herd and Mr W McHattie, solicitor, the secretary, wrote to them. Braid and Taylor were preparing for a match against Duncan and Mayo which kept them in London. The Aberdeen Journal of 25 March 1909 reports awaiting the visit of Harry Vardon who was to prepare the plans with Archie but when the laying out of the course began on 1 April, ‘the idea of calling in an expert from the south [had] been given up as unnecessary’. In the end they had a report from Reginald Beale, an expert on turf, from Carter and Company in London. Archie’s contribution, according to the Journal? The new course was to be playable by the following autumn but by the end of March Archie was off to Chicago. Archie Simpson has been given credit for the design of Nairn. This again appears to be a simple confusion with Andrew Simpson from Aberdeen who laid out the first course in 1887.
reported the Aberdeen Journal of 3 October 1887. This one is the exception: Archie Simpson should probably have more credit for the design of Cruden Bay. Again the name has caused confusion. Many websites, and I am sure quite a few publications, list Tom Morris and Archie Simpson as designers and state Tom laid out the original course and Archie redesigned it. The course was remodelled in the 1920s, when Archie was in the USA, and the architect was Tom Simpson. Archie was involved in laying out the original course and, given Old Tom’s relaxed attitude to golf design described below, and the fact he was 78 years old, I suspect the man in charge of the team with shovels would have a great deal of influence. Reviewing the course a couple of weeks later the Glasgow Herald felt that golfers should be grateful to both Morris and Simpson. Incidentally, there was no doubt in Archie Simpson’s mind as to who designed the course. In a sketch of his career in the (Edinburgh) Evening Dispatch in July 1908, he declared, ‘Of all the courses I have planned in this district I consider Cruden Bay my masterpiece’. ‘Archie Simpson, the Balgownie professional, has visited the place and had no difficulty in pointing out ground which would in every way be suitable for the purpose. The ground is undulating, with plenty of natural hazards, while the turf is of the finest quality. When it comes to links golf courses I am reminded of John Stark, the old professional at Crieff (where, actually, you can’t get much further from the sea in Scotland), who was fond of saying, “Golf is like us. It came from the sea”. Bear that in mind when judging the human component of any links course architecture.